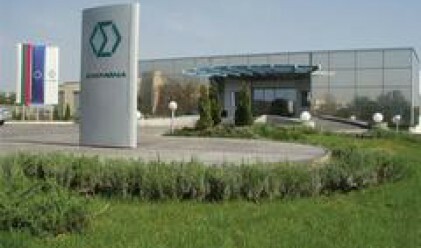 Shares of Enemona Jsc Kozloduy will be floated on the Bulgarian Stock Exchange January 23 (Wednesday) BSE's Board of Directors decided at a meeting today. The issue is in the amount of 11,933,600 leva (6.101 mln euros) allocated in as many shares with a face value of 1 lev. The code assigned the the stock is ENM. As you know, Enemona filed an IPO November 26 and successfully placed 2 mln shares. The placement price was equal to the set maximum – 16.8 leva. The IPO sparked a lot of interest and was oversubscribed 39 times. Orders worth 1 bln leva were received by underwriters Elana Trading and United Bulgarian Bank. Enemona will use the funds to finance its investment program. The company plans to file another capital increase by 2010, after which free-float will reach 25% of capital. Enemona Jsc is a Bulgarian private company with core activity in the areas of conventional and nuclear energetics, ecology, energy efficiency and renewable energy sources. Net consolidated Jan – Sept profit rose 6 times last year to 10.408 mln leva (5.321 mln euros). The figures exceed those for the same period 2006 by 8.709 mln leva (4.452 mln euros).